Whew, what a week. I learned so much! I am tremendously grateful to Angela, Christy and Holli for opening their classrooms for all of us to visit. Thanks to all of you for opening yourselves up to this style of professional development. You reflected on your practice and asked great questions. I hope you found some of your practices reinforced by what you saw and were able to identify next steps for you. Thank you for being fully present. I always feel lucky to be the principal at Emory, but am especially proud this week. This is a personal planning week. As many of us will be pre-meeting for labsite. We will NOT have flag salute this week. I have the opportunity to highlight the amazing things you are doing at the November 11th South Bay Union School District Board Meeting. I hope that you will be able to join me there (6:00p.m.- 6:30). 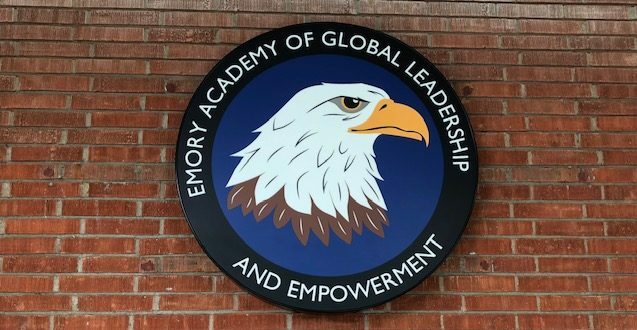 Our Board members will visit Emory on November 17th to view the Global Cardboard Challenge and some of your classrooms. It has been a wonderful week full of learning in the Workshop Lab Site sessions. Many of us were interested in the “Readers and Writers Workshop Conferring Notebook” that Jennifer Oliveira has used as a tool for conferring and small groups. If you are interested in putting your own Conferring Notebook/tool together, all of the resources and HERE. 5th and 6th grade teachers, Innovation Caravan is an opportunity for our students to highlight their thinking about big ideas, a special project they have been working on or anything that they find interesting. Please be sure to share the innovation caravan applications with your students and encourage students to apply. I am very lucky that I am able to see all of you with your students each week. I am sure that you found it powerful to watch the others facilitate the various elements of workshop this week. If you would like to be released to visit a colleague’s classroom, please let me know. If you would like to video yourself (for your own use), please let me know. Or, you might check out the South Bay youtube channel or the Teacher’s College Vimeo channel (see below). Let Araceli and I know how we can help you. Thank you to Rebecca, Dene, Monica, Melinda, Jeanne, Georgina, Maria, Leslie and RoseAnn for supporting our partnership with Point Loma Nazarene. Upper grade teachers, please check out Thrively. This is a great way for our students to discover more about their own passions and interests and to connect their learning in your classrooms to the real world. See link below. The Impact teachers will rotate this Tuesday. You MUST complete and submit time sheets within the month that you worked. For example if you have out of contract pay during the month of September, you ABSOLUTELY MUST submit the time sheet no later than October 1st. If you fail to do so, the district gets fined.